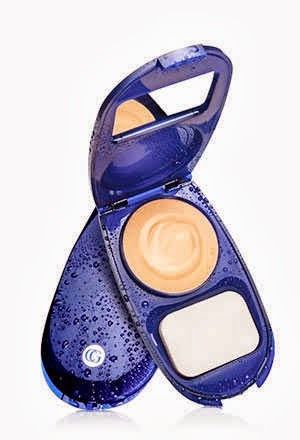 Using the sponge puff, apply a small amount of AquaSmooth Compact Foundation to the center of your cheeks and forehead. Avoid creating a mask by blending towards the edges of your face, concentrating on uneven areas and decreasing intensity towards the hairline. Don't rub! Lightly dabbing will remove excess foundation without smearing or removing the good stuff. I bought Covergirl AquaSmooth Compact Foundation from a bazaar, this is my first cream foundation and I am thrilled to try something new! There is nothing special with the packaging but I find that the mirror is too small. It might do if I have no other options for a face mirror. I got the shade 'Creamy Natural' which is perfect for my skintone. The first thing I noticed is the fact that a little goes a long way! Product will surely last a long time. The coverage is awesome and I don't need concealer anymore. The foundation is light and non-sticky, almost comparable to powder foundation feel and it glides on smoothly on my skin. I still prefer using moisturizer and/or primer beforehand though. It does not oxidize on me and after it melts my face seems glowing (think of bb cream/ mineral powder look) but take note that it is oil-free! It does not give me comedones on the nose unlike bb creams what bb creams does (personal problem). It is a delight that it has SPF but I still recommend the usage of sunblock. Makes skin flawless-looking with glow. Cream and blends like a dream because of powder like finish. Bring blotting paper you might still need to blot oil every now and then. Not a camera friendly make-up so try to avoid using this on events/ parties where cameras are everywhere. I love my experience on my very first cream foundation, but I will still use Fashion 21 foundie when I am in a hurry. I might buy another one but I would want to try some other brands first like James Cooper or Pinkie Swear.